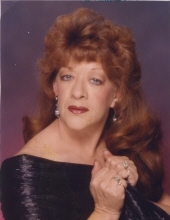 Emily Laverne Lowe, 69, of Choctaw, Oklahoma, died March 29th of 2019 at her home. She was born July 10, 1949 in her home town of Mayo, FL. Emily was preceded in death by her parents, Berry Nobles of Conyers, GA, and Merle Jones of Oklahoma, City, and her brother, Donald Nobles of Oklahoma City, OK. Emily is survived by her husband Kenneth E Lowe, of the home, children Tony E Lowe, of Choctaw, OK, Tracy L Smith of Newalla, OK. She was also survived by her sister Martha Jean Garrison, of Harrah, OK, brother Gary (Ray) Jones of Choctaw, OK. Her grandchildren Kody Smith of Midwest City, OK, Corey Lowe of Choctaw, OK, Lexi Lowe of Choctaw, OK, Jarrett Lowe of Harrah, Emily Lowe of Harrah, OK, and her great grandchildren, James Smith of Midwest City, OK and Elizabeth Lowe of Oklahoma City, OK. Emily is also survived by her adopted sister, and best friend Shirley LeMaster, along with Shirley’s Daughter, Terri Dennis, of Newalla, OK, and many other friends. Emily also loved her beloved Cat Yoda. Emily and Kenneth were married on September, 2nd, 1967 for 52 loving years. Emily loved her family and always enjoyed attending family dinners to spend time together, to laugh, and share fond memories. Emily enjoyed watching her favorite jewelry channel, collecting and proudly showing off her jewelry collection. Also she enjoyed going to her favorite casino with her husband, Kenneth, and daughter, Tracy.Emily retired from Civil Service from Tinker AFB in 2010, where she worked as a metallurgist operator. To send flowers or a remembrance gift to the family of Emily L Lowe, please visit our Tribute Store. "Email Address" would like to share the life celebration of Emily L Lowe. Click on the "link" to go to share a favorite memory or leave a condolence message for the family.